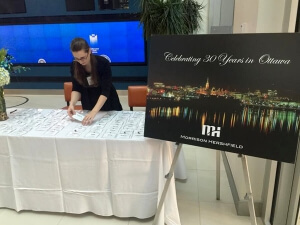 Morrison Hershfield is proud to celebrate 30 years of success in Ottawa serving our clients. The firm held an event at The Winter Garden at 150 Elgin St. on October 29th to recognize the people, projects, and partnerships that helped contribute to the success of our business. The firm has grown considerably since it was established in Toronto in 1946, initially offering civil, structural and mechanical engineering services. 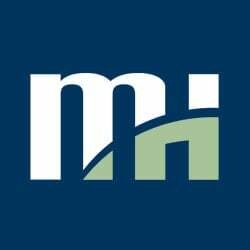 Today, the company has an impressive track record of award-winning projects, numerous long-standing and exceptional clients, and market-focused services. We've grown to over 900 employees in offices across North America. Recently, we were the Owner’s Engineer for the new Cornwall Bridge and Border Crossing facility and the Ottawa Light Rail Transit Project, as well as significant new builds for Algonquin College including the new Construction Trades and Student Commons buildings. There have been numerous complex and interesting assignments, both large and small, over the past 30 years, and many more to come.